Parties and partying in Playa del Ingles, you can not get enough of them. 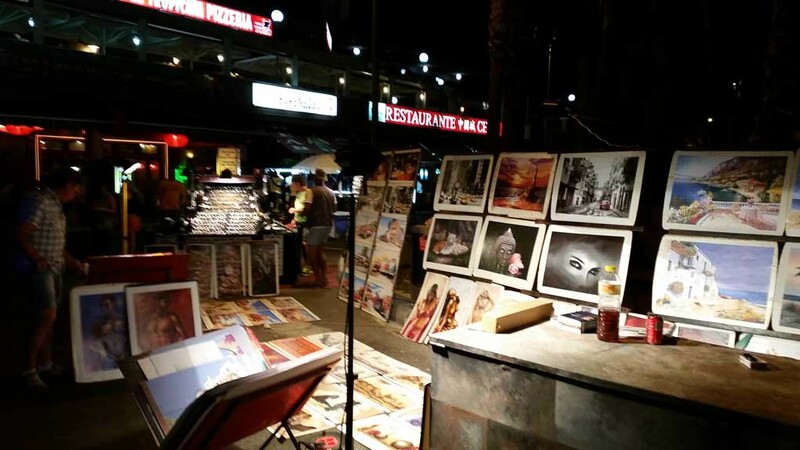 I share with you the entertainment area on the Paseo Maritimo, the Plaza and the Kasbah already discovered, but there is much more in Playa del Ingles than you might think. 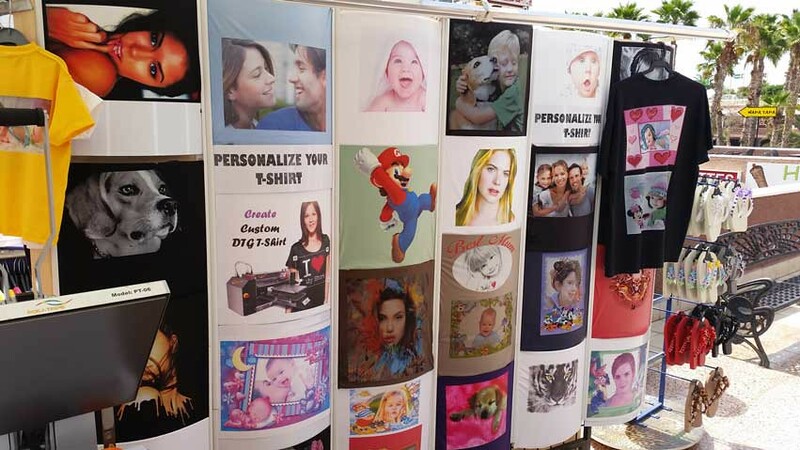 You do not really freak out have any party planner to go in Playa del Ingles. A party dress code is not even necessary. Most cases Parties can be found on almost every street corner. 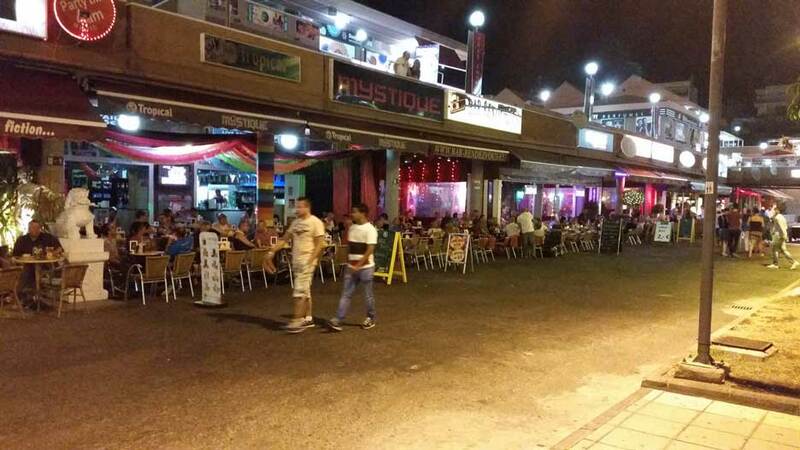 I like to take you to the nightlife of Playa del Ingles. Not so far away from the eponymous apartment complex, located a little back of the shopping and entertainment center you can see El Chaparral. 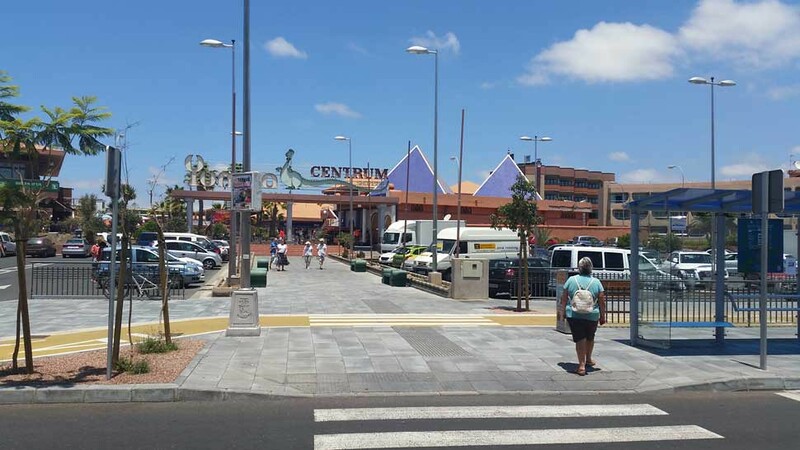 It is located on Avenida de Gran Canaria. In the open shopping area are Dutch, Scandinavian and English bars. 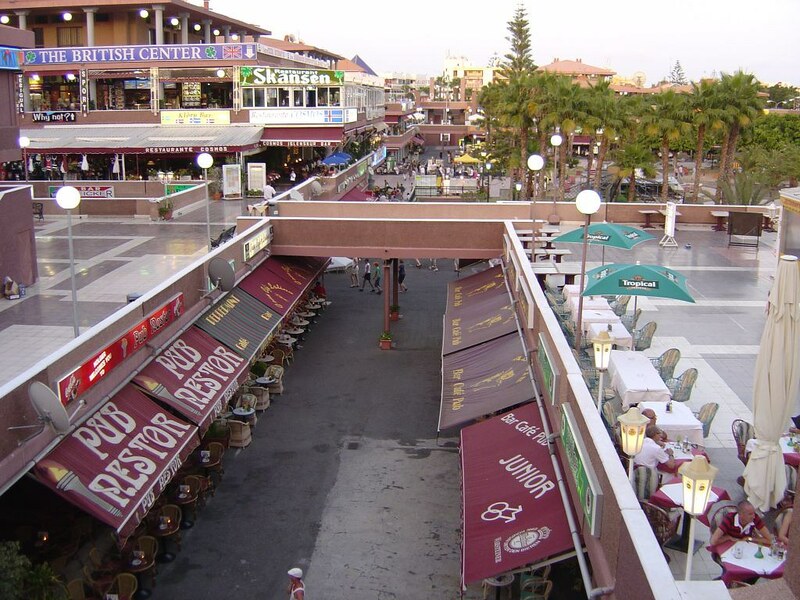 For lovers of Spanish and Canarian cuisine there are some good restaurants. Shopping such as food, gifts and other daily necessities, you can buy this in the supermarket at the entrance of El Chaparral. This is located next to the Hotel Riu Papayas and Riu Flamingo. The real life in El Chaparral starts during the evening until the early hours. Would you sing aloud and feasts on delicious dutch music than are the DJs of the Heineken Cafe and Cafe Downtown II every day ready for you. There are regular artist performances and the possibility of karaoke. It’s there every night a pleasant crowd with great ambiance. The English and Scandinavian bars bringing international pop music mixed with live performances and karaoke. Belgian tourists can taste their favorite beers such as Duvel, Leffe and other beers in the small Belgian cafe. From all that drinking sometimes you get hungry. The Dutch Café Broodje Amsterdam provides the hungry stomach of the Dutchman with Dutch snacks and typical dutch food. 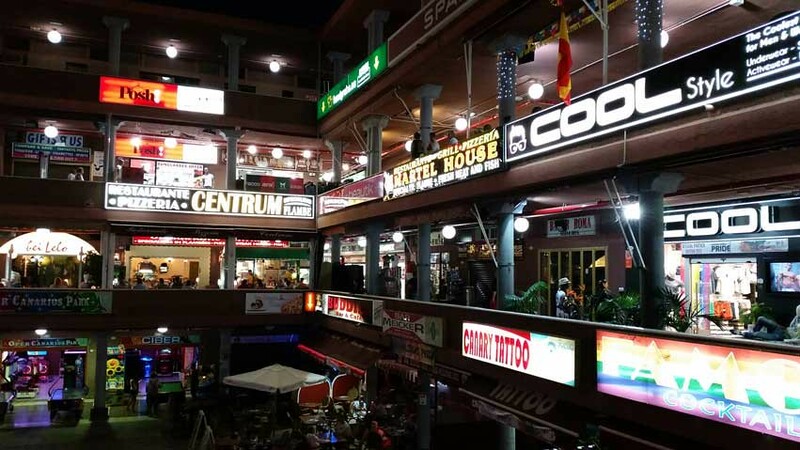 Another but certainly not least place to visit during the night hours, the Cita shopping center. 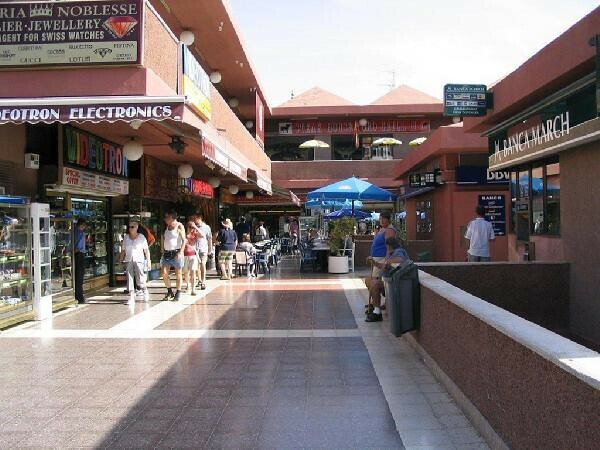 The shopping center is located on Avenida de Francia and Avenida de Alemania. 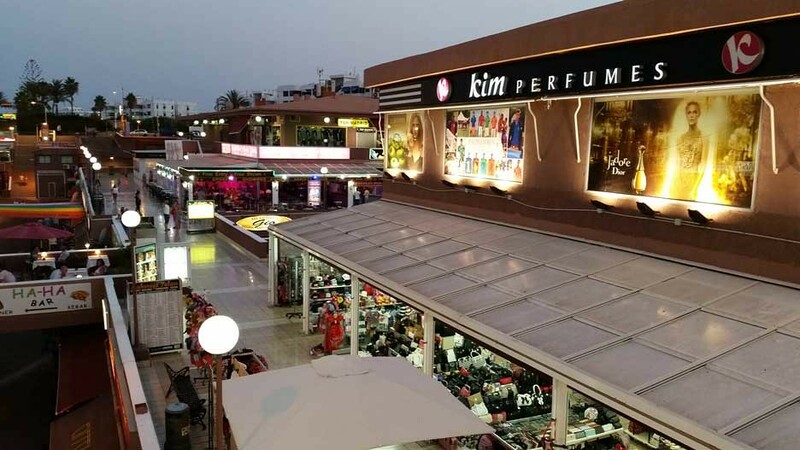 Three floors with over 200 shops and stores, shops, restaurants and bars pampering everyday the tourists. Together with you we step directly into the entertainment environment of Cita. Yumbo having originally opened its doors in 1982 as a shopping area. 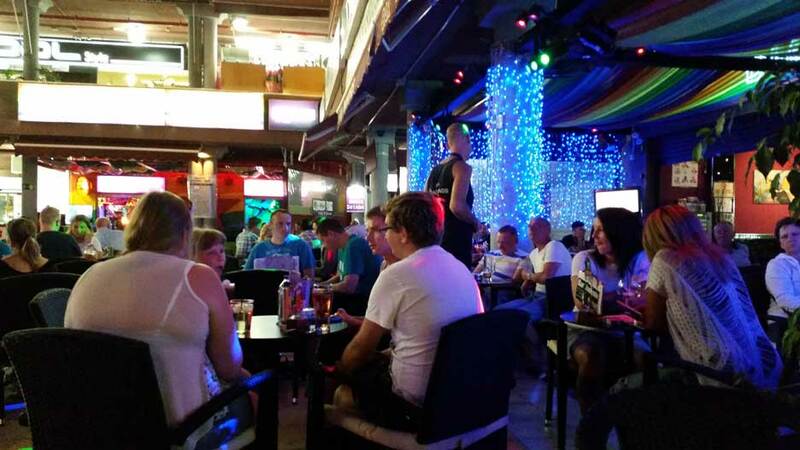 Yumbo of Gran Canaria is well known among tourists by smashing evening and night shows. 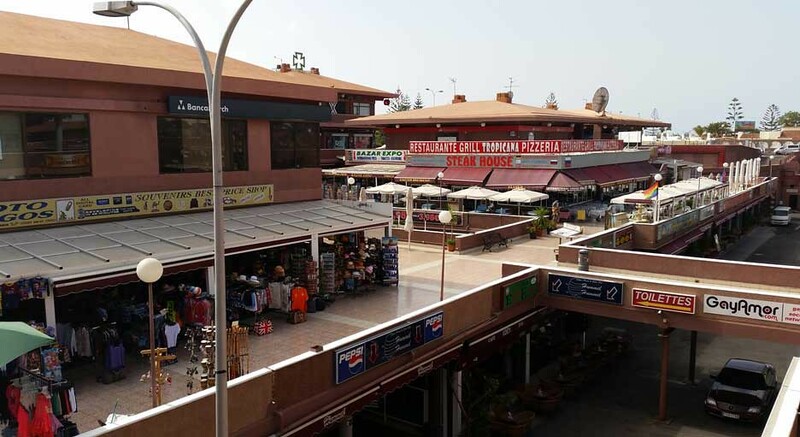 The mall has 4 floors with a variety of shops, restaurants, cafeterias and bars. An immense park like courtyard is used for special events. The annual Gay Pride and Carnival festivals are organized here. 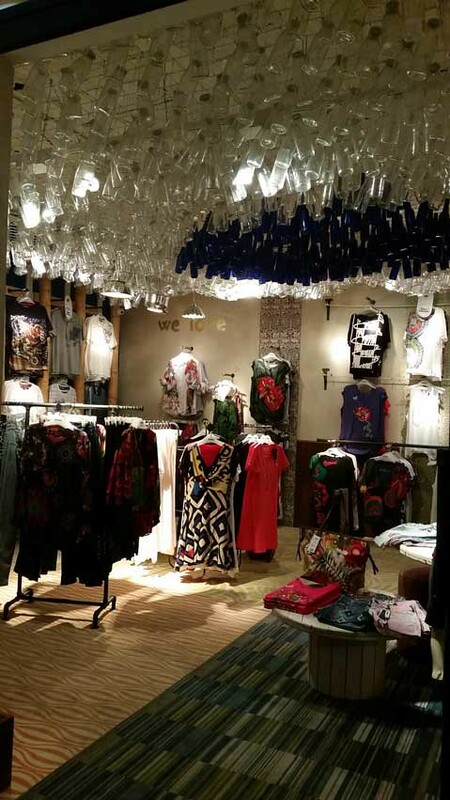 During the evening transforms shopping into a real party. The restaurants with pleasant outdoors terraces are fully booked, bars and nightclubs open the doors. The spectacle of the shopping center Yumbo starts at 22 pm, the time when the shops close their doors. 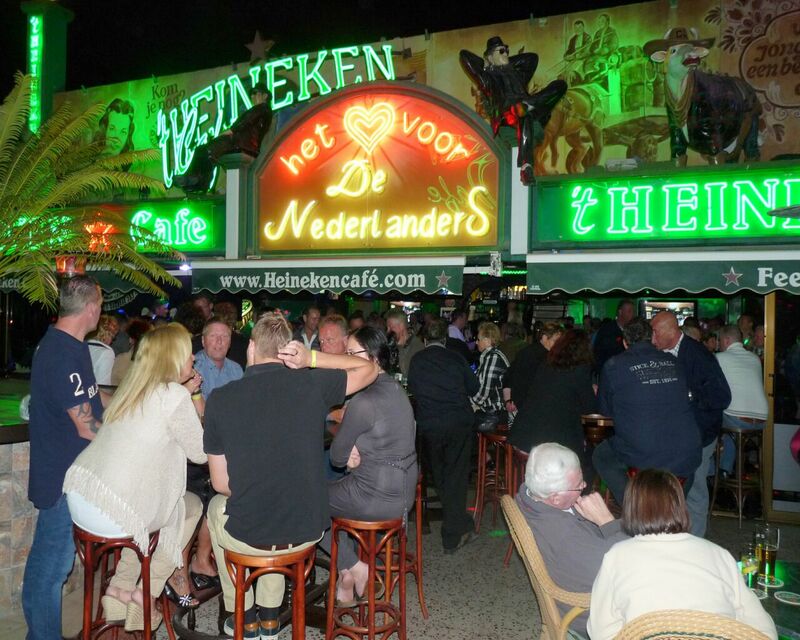 While many visitors enjoying the evening on a terrace at a comfortable temperature with a cocktail or a beer, gay men and lesbians come together in special bars. Chez Funny Boy’s, Sparkles Show Bar, Terry Show and Ricky’s Cabaret, placing each in its own way and fantastic Travesty Drag Queen shows. If you want to enjoy a blissful sauna a few hours as gay then I can certainly recommend Sauna Heroes. This beautiful sauna is only open to men. It is a very modern and clean sauna.